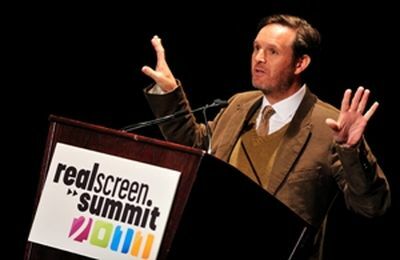 At this year's Realscreen Summit, reality and lifestyle programming were on the minds of most networks and producers alike. Indeed, the entire summit kicked off with a keynote address from Mark Burnett, mega-producer behind the outrageously successful Survivor and The Apprentice. And while he waxed poetic about sticking to good storytelling, having the right teammates, and being a good boss, one idea summed up the current trend of the entire genre: authenticity. "In our world," he lectured the audience, "inauthenticity the camera sees very quickly. You have to be authentic." The word "authentic" may appear as an ironic trend given that the genre is called "reality," but consider its origins. MTV's Real World created and the defined the reality genre back in 1992, but thrusting a group of strangers together was more a sociological experiment than reality. Burnett's Survivor has similar qualities--a contrived situation that elicits from the reality of human nature. "It's a made-up show," he winked to the audience. "They're not really marooned on an island, but the feeling is there." Burnett explains that it wasn't the unrealistic Swiss Family Robinson gimmick of it but rather its underpinnings of real human emotion that sold the series in the first place. "CBS picked up Survivor because Leslie Moonves liked, as he put it, ‘the core values that resonates with the world'." According to Burnett, whose indelible mark on nonfiction programming landed him the only Hollywood square representing the reality genre, being authentic is more important now than ever. The one-hour message of authenticity molded three days' worth of conversations. "The big note is that everyone wants it to be authentic," says Patti Ivins of PB&J Productions. "Which was a change from a few years ago when the networks wanted very polished shows." This is good news for her new edgy series Bachelorette Party, a female version of The Hangover, premiering on Oxygen this season. Whether her series fits the criteria of "authenticity" and scores viewership remains to be seen. Some production companies have already turned this trend into ratings gold--like Half Yard Productions, whose reality TV hits include The Real Housewives of DC (Bravo), American Loggers (Discovery Channel), and Say Yes to the Dress (TLC). "The audience has wizened," says Abby Greensfelder, co-owner and executive producer, "and wants people that feel unmitigated, unfiltered and real." To find these people, Half Yard Productions focuses first on finding fascinating subcultures and then the interesting characters who inhabit those worlds. Say Yes to the Dress, a peer into the world of the wedding dress business through the famous Kleinfeld Bridal salon, is proof-positive of that formula. "That's why it's so successful, Greensfelder says. "It's in a world that's unique and real." Other production companies approach their stories from the opposite direction. "You have to find compelling characters first," says Chris Valentini of Leftfield Pictures. "Without those, the shows don't do well." 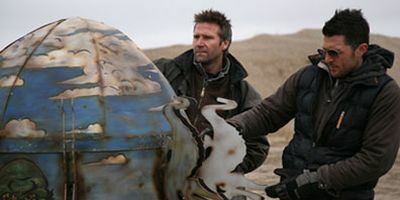 Leftfield's series Pawn Stars is the latest phenomenon to come out of reality TV, and Valentini attributes the series' success to the character-first model. "The characters lead to the microcosm," he says. "Whether that be a pawn shop, a talent agency, it could be almost anything." For a repeat performance, Leftfield Pictures is betting heavy on this model for future successes. "We start with casting. That's where we invest our money. We have six full-time casting people." Finding the people is one thing, convincing them to do a series is another. "The challenge," Valentini muses, "is being able to sign up good talent." 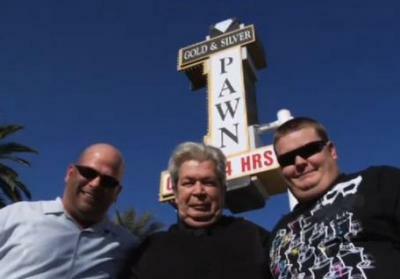 From Leftfield Pictures' Pawn Stars, which airs on History. For Leftfield Pictures and Half Yard Productions, they continue to search for what they've already found, and push the trend of authenticity to next level. Other production companies are focusing on the next trend entirely. "We'll see a hybrid," says Jeff Stecyk of Partners in Motion in Canada. "For example, [The] Re-Inventors (Smithsonian Channel) is a combination of history and lifestyle. It's really working for the networks. I anticipate more and more of that." From Partners in Motion's The Re-Inventors, which airs on Smithsonian Channel. In the end, because reality TV as a genre is still in its infancy, it's evolving rapidly and what works and what doesn't is still a mystery. "What keeps viewers coming back for more is the age-old question," says Luis Silberwasser, executive vice president and chief content officer of Discovery Networks International. "For us, it's all about real people living their everyday lives, under an array of circumstances. Our audience has a natural curiosity--whether it's about the world around them or the people down the street--and Discovery's programming strikes a balance by delivering at both ends of the spectrum." The ambiguous shape of reality TV's landscape excites the Half Yards and Leftfields of the world, but frustrates especially those companies trying to catch their first hit series. "What I'm hearing the most is, ‘We're not looking for anything specific'," says Aaron Brown, director of Onion Creek Productions. "Each channel tells me what they're not looking for. They're open to everything else." Among the four reality TV projects he's pitching, Brown is hoping the one about eccentric thrift shoppers will stand out among the ever-growing crowd of newcomers. "The networks are getting inundated with people like me," Brown laments. "There's a high sense of competition." Networks are looking for the best ideas regardless of who has it, and, according to Valentini, they're looking for that one series to help them leap over the competition. "Jersey Shore is helping MTV; Real Housewives on Bravo," Valentini says. "Those are shows that help define networks." The problem, Valentini says, is an incredible amount of redundancy surrounding series enjoying any level of success. "We find a lot of people out there pitching the same shows to the same people." The audience at the Realscreen Summit. Photo: Rahoul Ghose. Though the marketplace is getting more crowded by the minute, the reality TV genre is still very new. And without a clear formula of what works, the field is wide open, because everyone, including those who have been in the business a long time, are still trying to solve the puzzle. When posed to a panel of highly accomplished producers in the field, the panel members, including a network executive, all laughed. "If I knew that answer," said Boutique TV‘s Leslie Greif, "I'd be in Vegas right now." Jordana Well is a freelance writer and producer who has worked on shows airing on National Geographic Television, Discovery Channel, TLC and A&E. She is currently co-producing a PBS special.